A variety of fruit-bearing plants thrive in the Catskill Mountains. Not only do these plants work well in gardens near the area, but the plants also provide food, habitat and nesting areas for the wide range of birds and wildlife that call the area their home. These plants also work well in the garden so you can enjoy some tasty fruit while attracting more wildlife to your yard. Black huckleberry provides delicious little fruits that resemble blueberries. Bears love huckleberries, as they provide an important food source in the fall when they gear up for hibernation. Black huckleberry grows in the higher elevation areas of the Catskill Mountains where it reaches up to 4 feet in height. White tubular flowers appear in the spring followed by berries that turn a purplish-black color when ripe. The plant turns vibrant shades of orange and crimson in the fall. The drought-tolerant plants thrive in sandy or rocky acidic, well-drained soil. 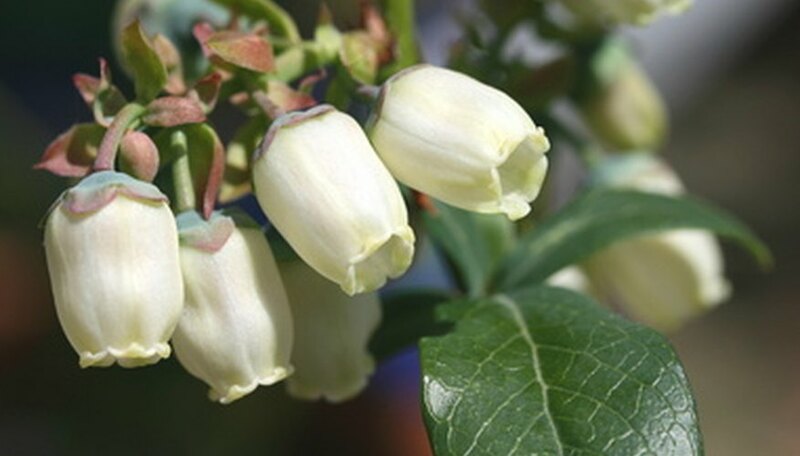 Growing from 6 to 12 feet in height, highbush blueberry produces delicious berries that songbirds, game birds, bears and other mammals find very attractive. In the spring, the deciduous shrub produces reddish-green leaves followed by long clusters of white or pink bell-shaped flower that appear to droop. The flowers get followed by small round fruits that turn blue when mature. In the fall, the leaves turn brilliant hues of red, yellow, orange and purple. Blueberry prefers acidic soils in boggy areas but also grows well in dryer, rocky soils. The fruits may be eaten fresh or in baked goods and jams. Elderberry bushes produce small purplish-black fruits that grow in clusters. The fruits provide an important source of food for birds that help distribute the seed to new locations. Native Americans also used the plant for medicinal purposes. The deciduous shrub grows up to 12 feet in height with leaves up to 12-inches long. Thick clusters of tiny white flowers appear from May to July followed by the fruit that turns dark purple when ripe. Elderberry grows in a variety of soils although it prefers moist, slightly acidic soil. The fruits make jellies, jams and wine. The red mulberry tree grows up to 36 feet in height, producing long fruits that Native Americans used for fresh eating and in preserves, pemmican and beverages. They also used parts of the plant to help alleviate symptoms of dysentery. Birds find the fruits highly attractive and help disperse the seeds to other parts of the forest. Red mulberry trees feature leaves that reach up to 8-inches long that feel soft to the touch on the underside. The whitish-green flowers get followed by green fruits that grow up to more than 1-inch long, turning reddish-black when ripe. The leaves of the tree turn bright yellow in autumn.